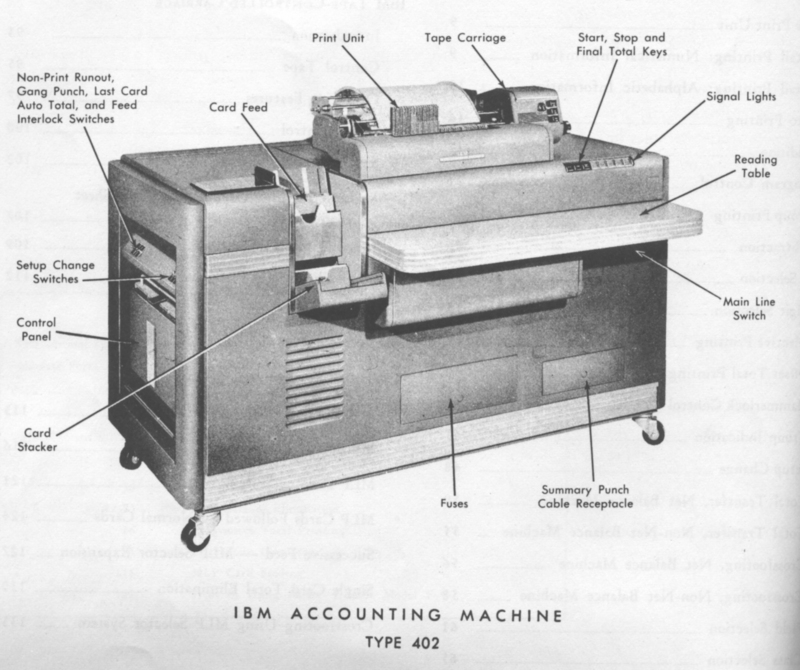 The IBM 402 accounting machine, 1948. Photo: IBM 402, 403, and 419 Accounting Machines: Manual of Operation , International Business Machines Corporation, Data Processing Division, 112 East Post Road, White Plains, New York, Form 224-5654-12, © 1949, 1951, 1952, 1953. Click image or maximize your browser to maginify.